The First Minnesota - Miscellaneous/Memorial Day at Lakewood - Load! Memorial Day at Lakewood - Load! 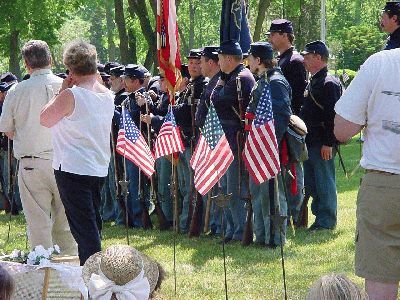 Members of the 1st and 2nd Minnesota Inf\'y and Battery I load in preparation for a salute volley at Memorial Day ceremonies at Lakewood Cemetery, Minneapolis, Minnesota. Photo by Bede Willenbring.